The OSCA centre is based in the remaining building of a Victorian Girl’s school built in 1896. 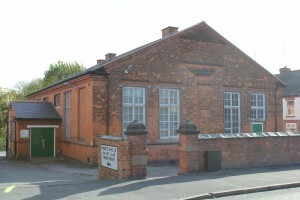 A school until the 1970’s, it was owned by North Warwickshire Borough Council and used by Atherstone Amateur Dramatics and Atherstone Theatre Workshop until the deteriorating condition of the building prevented its use as an Arts Centre. AAD, ATW and a group of interested individuals formed a steering committee with the purpose of purchasing the building from NWBC. In November 2007 Owen Street Community Arts centre became a company limited by guarantee registered at Companies House( Company number: 6426360 ) with the following aims and objectives. The charity’s objectives are to promote any charitable purpose for the benefit of the community in Atherstone, North Warwickshire and the surrounding areas (“the area of benefit) by the provision of facilities in the interests of social welfare for recreation and leisure-time occupation, with the object of improving the conditions of life for people in the area of benefit and to establish or secure the establishment of a community arts centre and to maintain and manage the same (whether alone or in co-operation with any local authority or other person or body) in furtherance of these objects. The main activities of the organisation are to manage and maintain the Owen Street centre ensuring that the fabric and facilities of the building are safe and useable by the local arts groups (both adult and children) for rehearsal and performances to the local community, local charities and other organisations providing services to the local community. On December13th 2008 the purchase of the building took place. By April 2009 thanks to the help of a team of volunteers the building became useable again and AAD, ATW and Individual Care Services became users of the building. Over the next few years through the hard work of the OSCA fund raising committee grants were obtained that gave the centre new toilets, including a disabled toilet, a new roof, disabled access, new gas central heating, insulation. In addition TWS obtained funding fro a new kitchen and the centre now has retractable seating in the main hall. Please access the acknowledgement section of this web site to see the benefactor board. The centre is now a light, airy and comfortable venue.